Follow me on Facebook for the latest news, freebies, and more! Perfect for Winter and the holiday season! 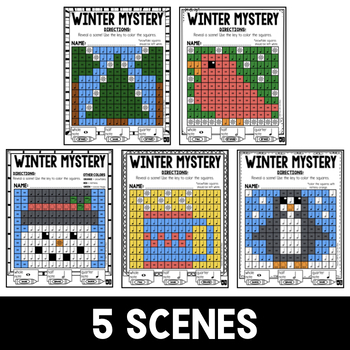 Included in this download is a small bundle of five mystery scenes created within a grid. 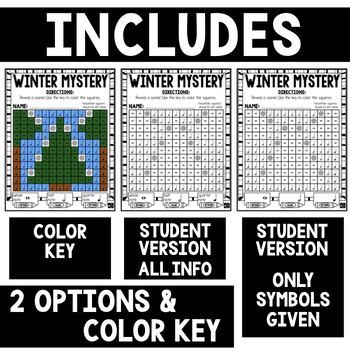 Students are given a key of three colors (including one or more "flex" colors*) and can color the squares to reveal the scene. *Flex color means that each scene will have squares containing images that are not content (ex. snowflakes, mittens, cocoa mugs, etc.). 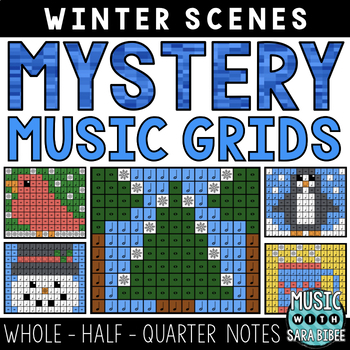 In this particular bundle, each scene is made up of whole, half, and quarter note values. See the preview file for a higher resolution look!